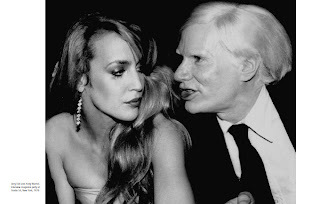 In the week that W Magazine releases their Steven Klein ‘Super Linda’ editorial (just super hero out-of-this-world visuals – pictured below), we are reminded of one of the true icons of fashion over the last twenty years and of the power and impact of the supermodel from Jerry, Grace and Bianca through to Linda, Kate, Naomi and Helena. 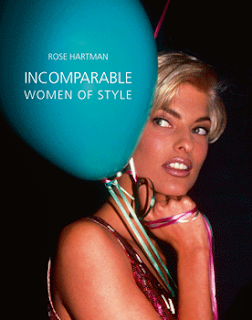 ACC Publishing Group are publishing a tome of must-have images by Manhattan photographer Rose Hartman, called ‘Incomparable Women of Style’ and a quick preview tells me that they are all in there from Bianca and Grace to Kate Moss, Anna Wintour, Diane Von Furstenberg, Viv Westwood and Daphne Guinness. Featuring more than two hundred photographs including some rare vintage silver prints as well as a group of never-before-seen images of New York’s elite and underground style icons. Chronicling a world of beauty and style, photographer Rose Hartman has managed to capture fashion’s trendsetters for three decades, and in so doing has helped to define what we remember most about glamour, the period and those who created it. 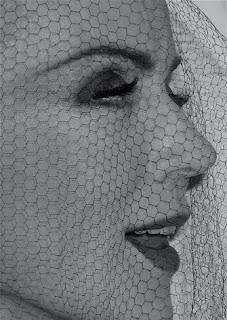 Hartman’s lens has given order to the chaos of launches, catwalk shows, and couture’s triumphs and tragedies, by letting the viewer see the substance behind the form. 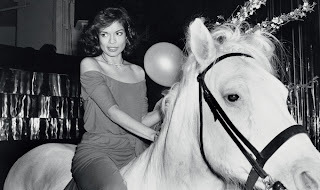 What one fails to realise is that many of the photographs associated with a style, an event, and an era, have belonged to Hartman, whether it is Bianca Jagger on the white horse as she enters ‘Studio 54’, or Isabella Rossellini at a private dinner in the Hamptons. Next post: Balmain updates and re-releases Ivoire. And it’s a class act.